The pink dye in the new Peeps-flavored Oreos has some cookie and marshmallow fans experiencing strange side effects, including pink tongue, saliva, and most notoriously, magenta-hued poop. Don’t fret, Peeps-eaters! This is just the latest in a long line of products that can color your number-twos. There are medicines, other junk foods, and even actual vegetables that can pass through your system unchanged by the digestive process and seriously freak people out. But not every parent knows everything their kid eats, and many of us aren’t expecting that the foods we consume will have such colorful results, so the surprise can sometimes be alarming — even when there’s no reason to be alarmed. As anyone who has fed a small child a large quantity of blueberries or who eats a lot of beets can tell you, some natural foods with strong colors pass unchanged through the digestive system. 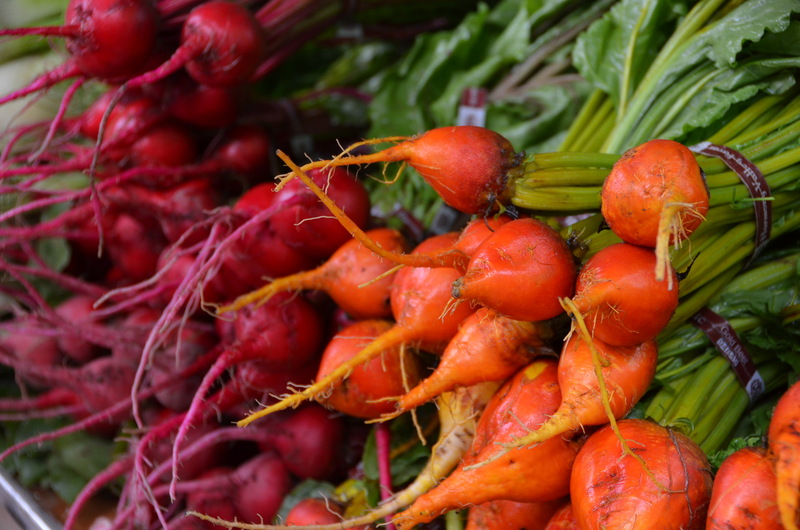 For some people who eat beets, this has the alarming effect of turning their urine red. For others, the red coloring of beets makes it look like they have intestinal bleeding. 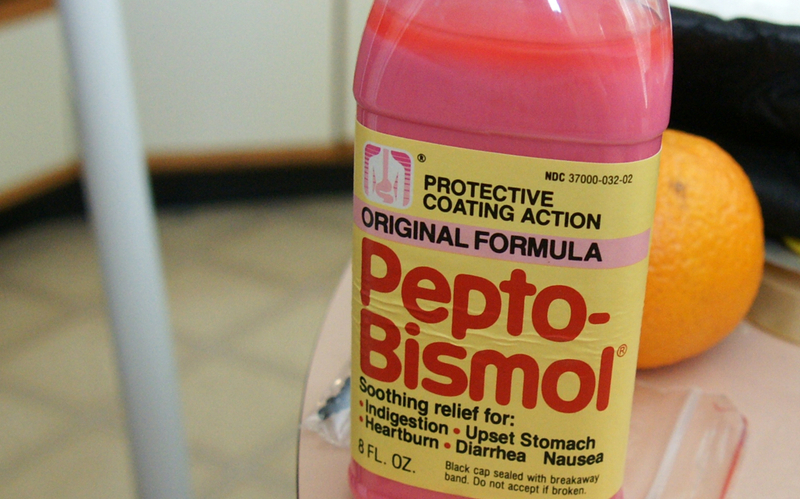 If you don’t know that the active ingredient in Pepto-Bismol reacts with saliva to produce a substance called bismuth sulfide, and that substance can discolor your tongue, saliva, and stool, you might get a serious scare and run to Google. 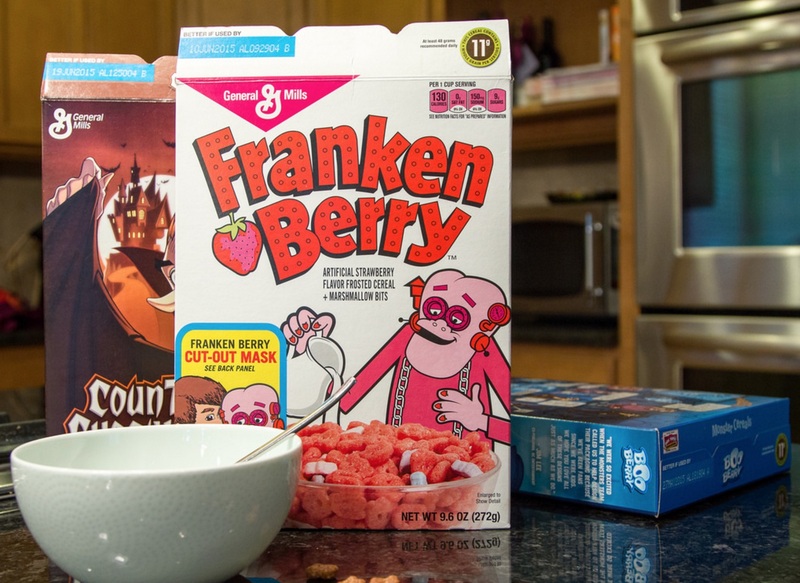 In 1971, General Mills introduced its first “monster cereals,” including the very pink Franken Berry. One of the many children who tried the new product was a 12-year-old boy in Maryland, and he ended up hospitalized and immortalized in medical history because of it, in the February 1972 issue of the journal Pediatrics. That’s how the phrase “Franken Berry Stool” appeared in a serious medical journal. He was kept in the hospital for several days for various tests, but they didn’t turn up anything wrong with his digestive tract. The pink poop problem cleared up. Finally, in what was perhaps the most fun medical test ever, he was given four bowls of Franken Berry cereal on his fourth day in the hospital. The “strawberry ice cream” effect returned later that day. Medical mystery solved. The doctor contacted General Mills about the case, and the company responded that it had not heard of any similar cases (yet) and that it used the food colorings FD&C Red #2 and #3. However, it tested negative for blood, as did the red-orange stain he left on toilet paper. 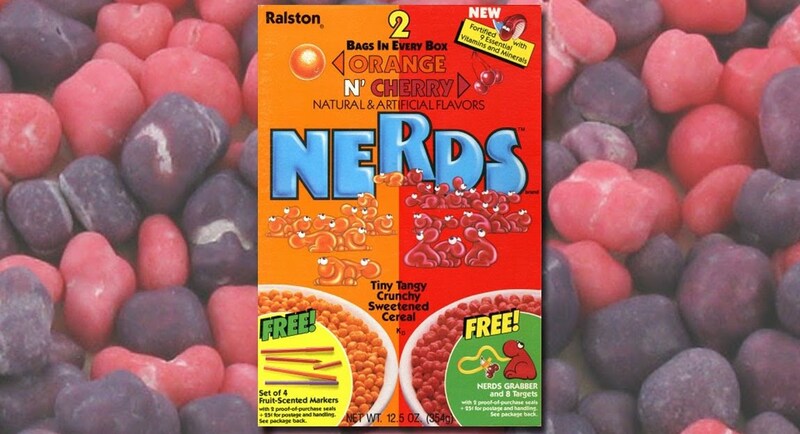 The boy finally admitted eating an entire box of Nerds cereal, which the medical staff learned contained FD&C Yellow #6 and Red #40 to make the orange and cherry flavored colored cereal pieces. “The mother suggested the diagnosis of ‘Nerds turds,'” the doctors wrote when submitting the case to Pediatrics. And yet somehow, our society didn’t remember these important medical lessons, and people who ate Flamin’ Hot Cheetos in 2012 ended up in the emergency room, concerned about what looked like blood in their kids’ stool. 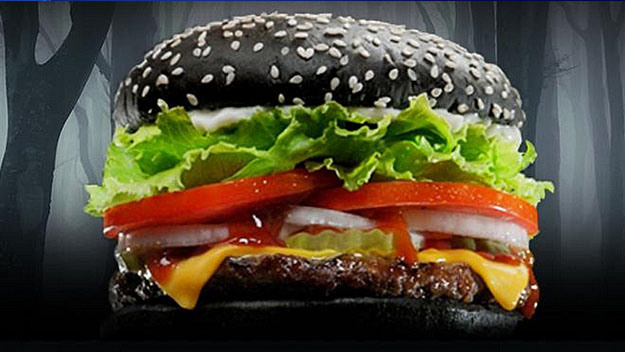 Burger King blamed of the color of this 2015 Halloween-themed Whopper on A1 steak sauce and “less than 1% food coloring,” but customers still complain that something in the bun is coming out green on the other end. Green food dyes can be part of creating black-colored products, so that’s possible. The worst side effect of this was that customers posted photographic evidence online. That brings us to the current controversy over Peeps Oreos, since people are sharing online that it has turned their tongues and saliva pink, and onward through the digestive tract. Junk Food Guy, one early reviewer who liked the cookies otherwise, warned readers that the cookies also turned his saliva and his toothbrush pink. We checked the Peeps Oreos ingredients list. Sure enough, there it was: FD&C Red #3, just like in the original Franken Berry of the ’70s. What all this tells us is to not panic when you see unusual colors in your mouth or in your toilet. Think about the food you’ve eaten recently: Are any of them brightly colored fruits or vegetables, or even more brightly colored junk foods? Maybe they were simply so bright that you couldn’t break them down. 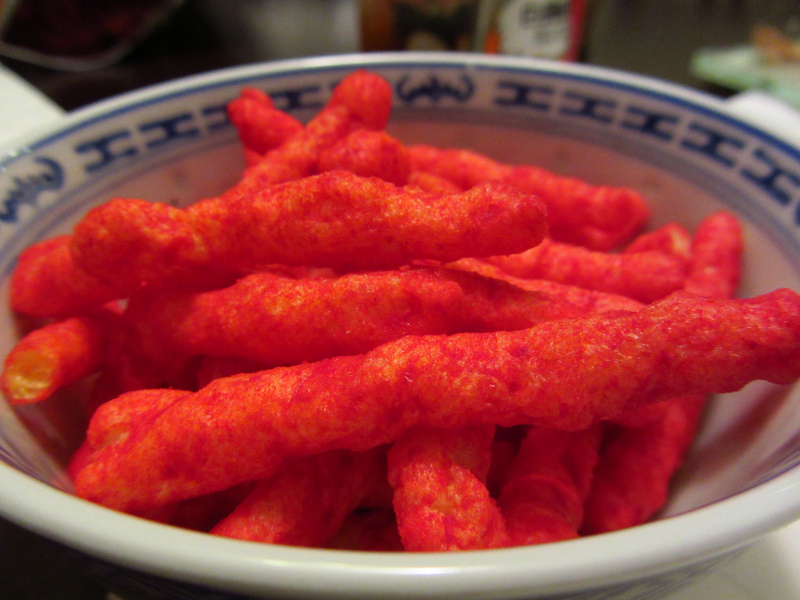 Will New Cheetos Stunt Snack Make Parents Drag Kids To The ER For No Reason?